Mrs. Annie Lee Singleton Kennerly, age 78 of Pembroke, Ga., passed peacefully with her family at her side at her residence on Monday morning February 4th under the care of Ogeechee Area Hospice. 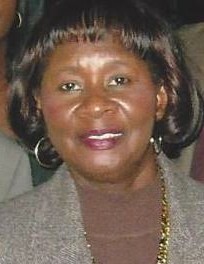 She was a Bryan County native and retired as the Deli Manager of the Andy's IGA of Pembroke, Ga. She was a member of the St. Luke Missionary Baptist Church of Daisy, Ga.
She is survived by her loving husband Mr. Tracy Kennerly of Pembroke, Ga.; her loving daughters Mrs. Cassandra Kennerley-Campbell (Roland) of Hagerstown, MD., Mrs. Cynthia Kennerly-Lunsford (Charles) of Clover, S.C.; her loving sisters Mrs. Mary Washington and Mrs. Betty (James) Smith both of Pembroke, Ga.; a loving brother Apostle C.C. (Molly) Singleton of Ellabell, Ga.; and a host of other relatives and friends. Home Going Celebration for Mrs. Annie Lee Kennerly will be held Saturday February 9, 2019 at 1pm at the St. Luke Missionary Baptist Church, Daisy, Ga., with the Apostle C.C. Singleton, Presiding and with the Rev. Dr. C.L. Anderson, Eulogist. Interment will be held in the Arlington National Cemetery, Arlington, VA.